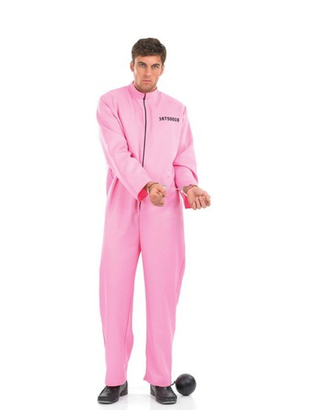 Men's Pink Prisoner costume includes a one piece pink jumpsuit with zip up front and a black printed numbers "38750008". 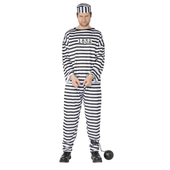 To complete the convict look a pair of metal handcuffs are also included. Ball and chain may be purchased separately.